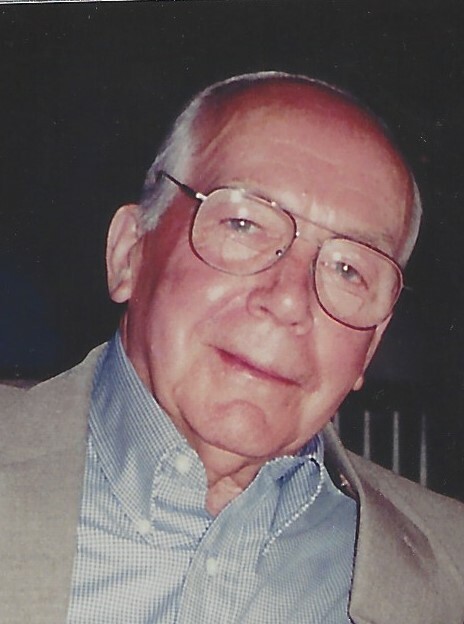 Raymond Eugene Kuhns, 95, of Greensburg, passed away Saturday, March 30, 2019. Raymond was born May 29, 1923, in Greensburg, a son of the late Morris C. and Lida (McConnell) Kuhns. He was a 1942 graduate of Greensburg High School. He married Mary Agnes Yost on Oct. 1, 1943. They were married for over 71 years and raised two children, Michael Aaron and Janice Louise. Raymond was a veteran of World War II, where he served in the Marine Corps. Upon returning from the war, Raymond worked as a registered electrician. He was a member of VFW Post 33, Greensburg, and Our Lady of Grace Church, Greensburg. Raymond was preceded in death by his wife, Mary Agnes; his son, Michael Aaron; two brothers, Morris C. Kuhns Jr. and Harry F. "Cooney" Kuhns; and three sisters, Harriet Morrison, Helen Yockman, and Shirley Kuhns. He is survived by his daughter, Janice Gourley (Bill); his two grandchildren, Kim Gourley (Jason) and Holly Wargo; his three great-grandchildren, Clayton, Whitney and Campbell; and his sister, Vera Miller. A private service will be held for immediate family members, and private interment will be in Greensburg Catholic Cemetery. KEPPLE-GRAFT FUNERAL HOME entrusted with the arrangements. For online condolences and information, please visit www.kepplegraft.com.